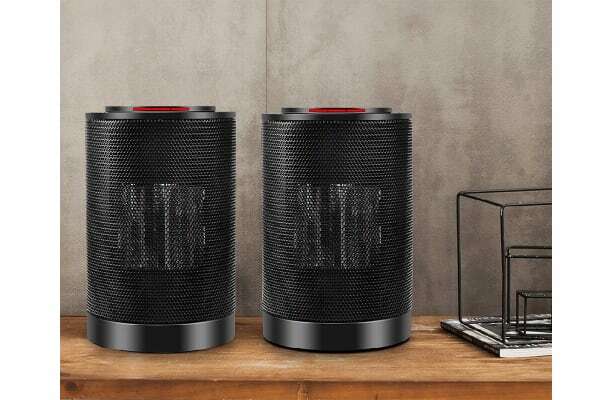 Don’t shiver your way through winter with this portable ceramic fan heater, a cost-effective and energy-efficient heating solution that doesn’t compromise on power or quality. 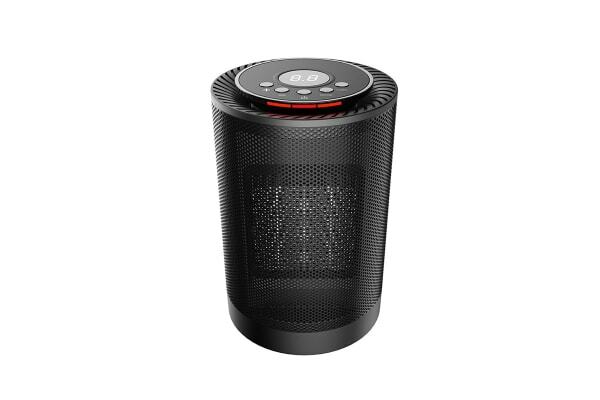 This great value heater packs a serious punch for its compact size, with efficient PTC ceramic technology, up to 1200W of power and wide-angle oscillation that pushes heat evenly into every corner of the room. 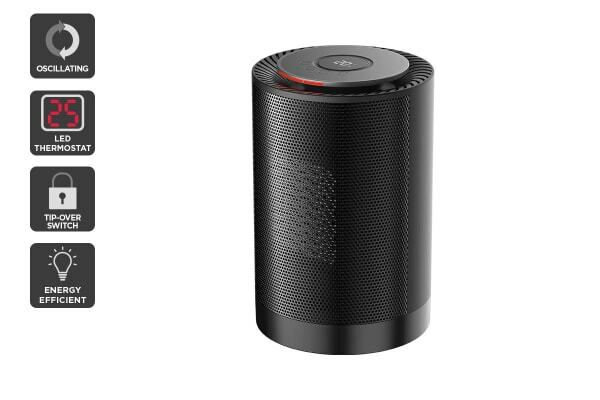 Housed in a sleek cylindrical case with a stylish LED thermostat and control panel, this heater will easily fit into your office or lounge decor. Move it from the bedroom to the bathroom with ease thanks to the lightweight 1.2kg design and carry handle, great for winter mornings! Ceramic heaters are often safer because the element is entirely surrounded by fire-resistant ceramic plates, posing less of a fire risk than other heaters. Get peace of mind knowing that you can leave this heater running safely all night thanks to the overheat protection and tip-over switch. The ceramic plates also retain a lot of heat, helping to provide more consistent heat for longer without racking up energy bills.